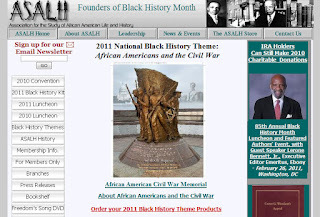 2011 National Black History Month Theme: "African Americans and the Civil War"
I just came across the announcement that according to the Association for the Study of African American Life and History who founded Black History Month, the theme for 2011 is "African Americans and the Civil War." 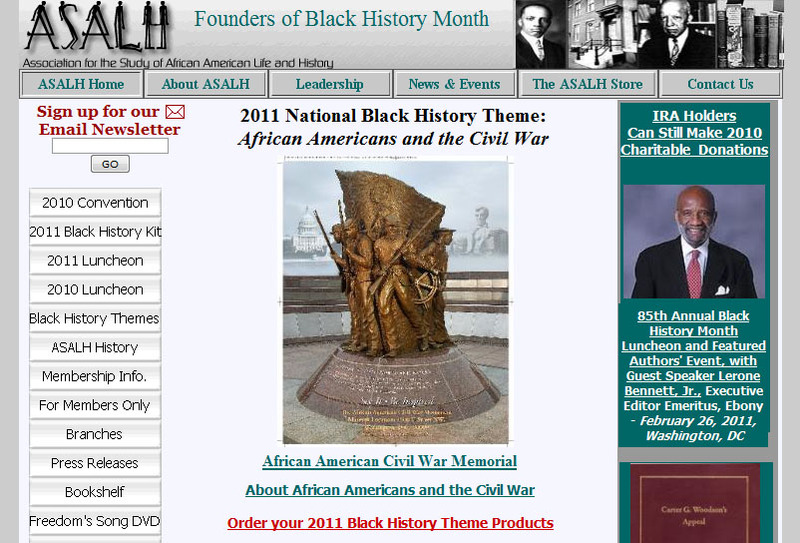 I am so pleased that the ASALH, will also focus on educating everyone about the contributions African Americans made as soldiers in the Civil War. It is equally wonderful to see they are already counting down to Black History Month on Facebook and Twitter! I have connected in both places so that I will be able to keep up with the great information and resources they share during February. 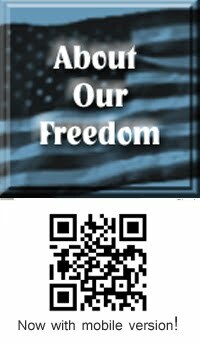 African Americans did not participate to a great extent in the war that won their freedom Wrong! A significant number African Americans willfully fought on the side of the Confederacy Wrong! 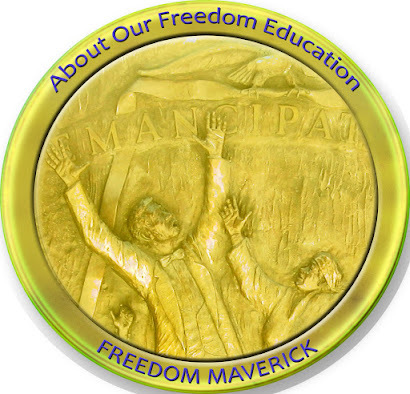 African Americans were not able to understand the concept or principles of freedom. Wrong! President Lincoln entered the war for the purpose of ending slavery. Wrong! 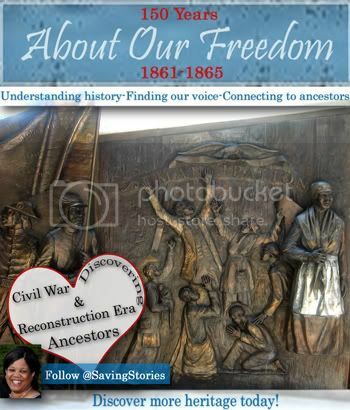 African Americans were not involved in fighting for liberty before the Civil War.Wrong! These are all fallacies. We will work to correct them and the other untruths which are prevalent today. We must work to restore our own stories so the correct version of history is told. Countdown: 3 DAYS until Black History Month! After reading the sample chapter from of "The Northside: African Americans and the Creation of Atlantic City" online I decided to commit myself to educating myself more thoroughly next month. Five minutes before I saw your tweet, I came across a decent collection of 19th century African American newspapers. My public library has access. YAY! It looks like you are being led! Keep us posted on how your journey goes. Thanks Robin, I don't know if you have seen it yet but you can read a sample chapter from "The Northside: African Americans and the Creation of Atlantic City" at The Northside – Chapter 1: Indispensable- The Northside. Its written by the same man who wrote the (nonfiction) book that was the basis of HBO's Boardwalk Empire. That site with the chapter also has a photos from the early days of Atlantic City which was, at the time, an engine for upward social mobility among former slaves who moved north and found themselves frozen out of manufacturing jobs by nepotistic hiring practices of entrenched European immigrants in places like Philadelphia and New York City. "The Northside" looks like a great piece of American history. Nelson Johnson has preserved a great deal of history. We can definitely explore this resource here. I plan to examine further. Thank you for making sure I took a look.